It goes without saying, but your home’s roof is plays a key role when it comes to its overall appearance and curb appeal. Since your roof covers a large area on your home’s exterior, its design should enhance existing materials and colors and complement architectural features. This means choosing the right roof shingles and shingle roofer in the Newnan, Georgia area is imperative to adding character, and quality roofing to your Georgia home. When it comes to choosing a shingle roofing style, color, and pattern that effectively enhances the architectural style of your home it’s important to keep a few factors in mind. For instance, the styles of architecture will reflect different roof styles with various heights, overhangs, and heights. Take a look at some popular home styles around the Newnan and surrounding Georgia areas to get an idea of what your roof should look like. Colonial-style homes generally have square, symmetrical, facades along with distinct balanced windows, and will commonly have large entries or porches. This style of home is quite common in the Central areas of the U.S. and Southeast , including the Newnan, Georgia area. Black or grey slate shingles accented with hues of blue, red, or even brown work the best with Colonial architecture. While Craftsman-style homes, indeed, began in the West, there are many located in throughout Georgia, and even some in the Newnan area as well. These homes usually have expansive roof lines and large, low overhangs and require a professional shingle roofer in order to install properly. This style in particular looks beautiful with wood-shake shingles in earth tones of tan, green, and grey. Tudor-style homes with red brick exteriors are quite common in the midwest, though some do exist in the Southeast as well. These homes get their look due to their typical high, steep-pitched roofs. Because of this distinct trait, tudor-style homes require an expert shingle roofer to provide safe installation. Tan or red brick facades accented by brown or grey cross-gables look incredible with warm brown and grey tudor-style roofs. Eagle Watch Roofing is a locally-owned Newnan, Georgia business. 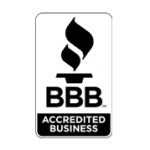 We pride ourselves on top-notch customer service that homeowners can trust and have received numerous awards and praise from existing clients (both commercial and residential). 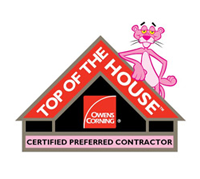 Let our team of experts help you choose the most ideal roof for your specific style of home. 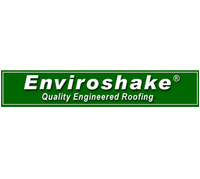 Contact Eagle Watch Roofing for your next roofing job. We hope you’re finding our roofing blog insightful and entertaining! To learn more about what Eagle Watch Roofing can do for your next roofing project, visit our ‘About Us’ page; or, visit our ‘Testimonials’ page to see what some of our satisfied customers have to say about their experience. 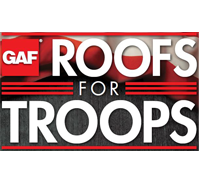 Be sure to check out our past roofing jobs as well on our photo gallery page.